The hardest part of my weight loss journey is my sweet tooth. When I first started this journey. I didn’t educate myself and just really went in without any real plans. I thought that just because I was eating fruit that I was eating healthy and boy was I wrong. I quickly learned that eating a whole pineapple wasn’t as healthy as I thought and learned that all fruit is not created equal. Since I reached my weight loss journey. I’m slowly started back incorporating the food that I love but of course a healthier alternative. As you guys know, I love to bake and cook. I’m the cupcakes for breakfast type of person hence this recipe. As much as I love baking I know that all purchase regular flour isn’t the healthiest. So I researched and learned how to make oats flour at home which has truly been a life saver. I’ve made everything from vegan pancakes to crepes and the recipes come out amazing each time. 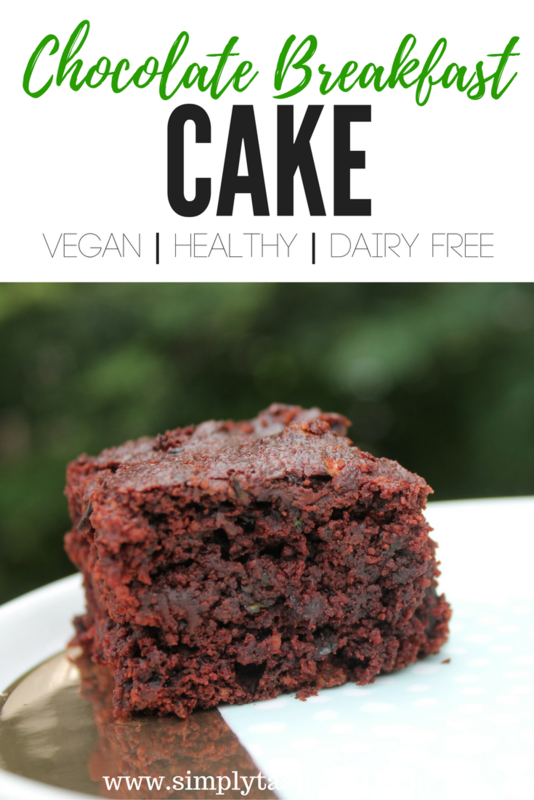 I was in my kitchen and I wanted to create a super moist chocolate cake that is a healthier alternative that I could have any time of the day. I researched and researched and finally developed this recipe. I so surprised at how moist this cake turned out. Did I mention that it has zucchini in it? It’s so good that you forget that it’s healthy for you. Using a grater, shred the zucchini and place to the side. Combine oil, sugar and vanilla extract in a bowl until well-combined and crumbly. Combine flour, cocoa, baking soda and salt in a separate bowl. Add sugar mixture to the flour mixture. Stir the zucchini shreds into the batter until thoroughly incorporated. The batter should be moist and thick. Scrape batter into an 8 x 11 baking dish. Bake for approximately 25-30 minutes or until the brownie is fairly firm and begins to pull from the sides of the pan. Allow the cake to cool, and Enjoy! I cant wait to try this, this looks absolutely delicious!! This looks so delicious!! Can't wait to try!! A cake for breakfast!?!? Why wouldn't I?? Thanks so much for the creative recipe! This is perfect! I get chocolate cravings, I'm pregnant, and definitely overweight. Plus we grow huge zucchinis in our garden, so this couldn't be more perfect for a healthy delicious treat!